With the weather finally starting to get a little warmer here in London, it looks like our Brazilian friends have perfectly timed their return visit to London. Last week saw South American street artist Fabio Oliveira aka Cranio return to the city following his recent solo exhibition 'Amores' at Montana Gallery in Barcelona, Spain. Taking to the streets of East London the artist revisited a Brick Lane wall, repainting the spot with one of his signature indigenous indians (covered here).We know the artist is still in town but have yet to spot any additional pieces from him just yet! As we post this another two well known Brazilan street artists are winging their way to London and set to hit the city in the next day or two. 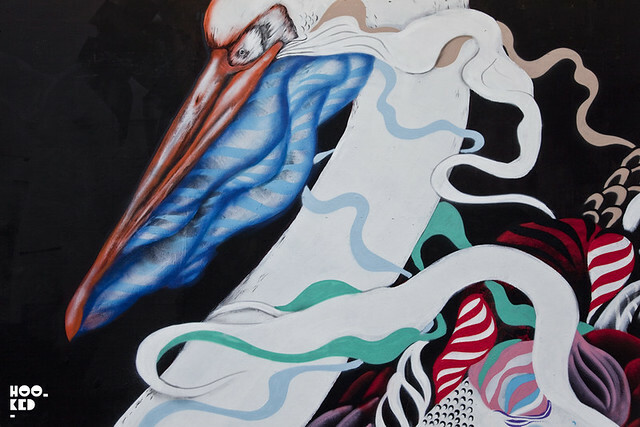 Mateus Bailon and Rafael Sliks will be familiar names to street art fans here in London, with both having redecorated a number of walls across the city during their previous visits, including a large scale collaborative mural (covered here) featuring both artists on the so called Shoreditch Art Wall on Great Eastern Street, London back in 2013. On this occasion, the two São Paulo street artists will be presenting new collections of work in a joint exhibition titled 'Naturally Unstable' hosted by Dope Gallery. The exhibition set to open on the 30th April will feature all new canvas works as well as limited editions from both Mateus Bailon and Rafael Sliks. 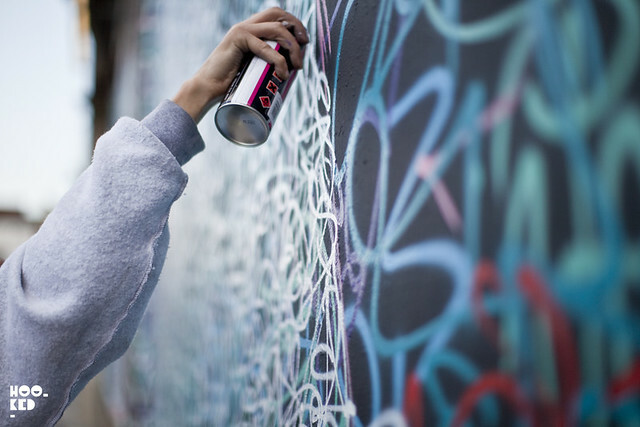 Visitors and fans will also get the opportunity to see both artists at work, as the gallery have planned a live painting event at the opening party where they will also be joined by fellow Brazilian street artist Cranio. Add some DJ's, live beatbox by Soundbytz and it's sure to be a lively event and one not to be missed. The exhibition takes place at the Hoxton Gallery on Kingsland Road, opening the 30th April from 6pm. 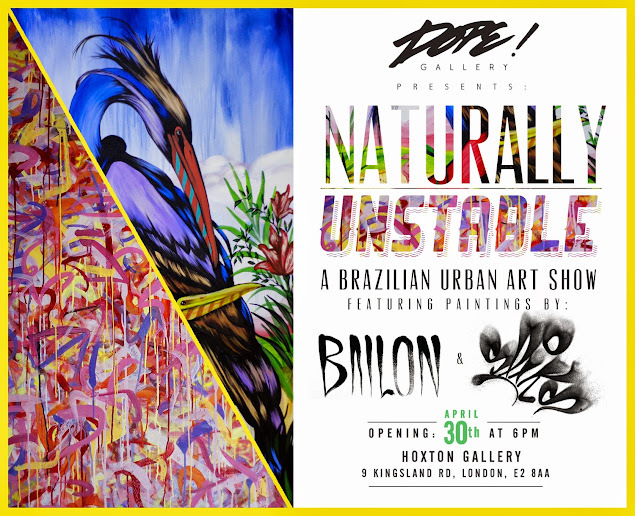 Naturally Unstable with Mateus Bailon and Rafael Sliks will run from the 30th April 2015 until the 3rd May. Location: Hoxton Gallery, 9 Kingsland Road, Shoreditch, London E2 8AA.